Courtesy of Hawaii Real Estate Team. One of a kind location boasting 180' panoramic Ocean and West Maui views! Tranquility, peace, quiet, beauty and perfect weather... everything you dream of and been waiting for... it's all here for you, in highly desired Oma'opio Ridge Wonderful private, secluded and spacious well situated home. Flexible layout ideal for family or extended family compound. Each room has wonderful ocean and mountain views. Spectacular property of amazing 5 plus acres located at the idyllic upcountry elevation of 1,300 feet. Peaceful and private, this 3,688 square foot home with 5 bedrooms, 3.5 baths, media room, family room, mudroom, laundry room, extensive loft storage has 4 pull down ladders for access, large 6 car 30' X 40' garage with auto door openers. The kitchen living room lead out to a beautiful lanai, perfect for outdoor dining, where one can sit and enjoy the picturesque ocean and mountain views. Features water filtration system, wired for surround sound and a security system, patio fire pit lounge. Lots of mature fruit trees and plantings surrounded by established landscaping, various fruit trees plenty of room to expand. Building site for cottage with separate entry access, 2nd septic is also already installed. Owners are real estate licensed. Property is a must see with tremendous views in Omaâopio Ridge, one of Kulaâs finest communities and close to beaches, airport, town and upcountryâs best schools, shops and restaurants. Tranquil retreat and the perfect place to call, your Maui home! Don't miss this one! 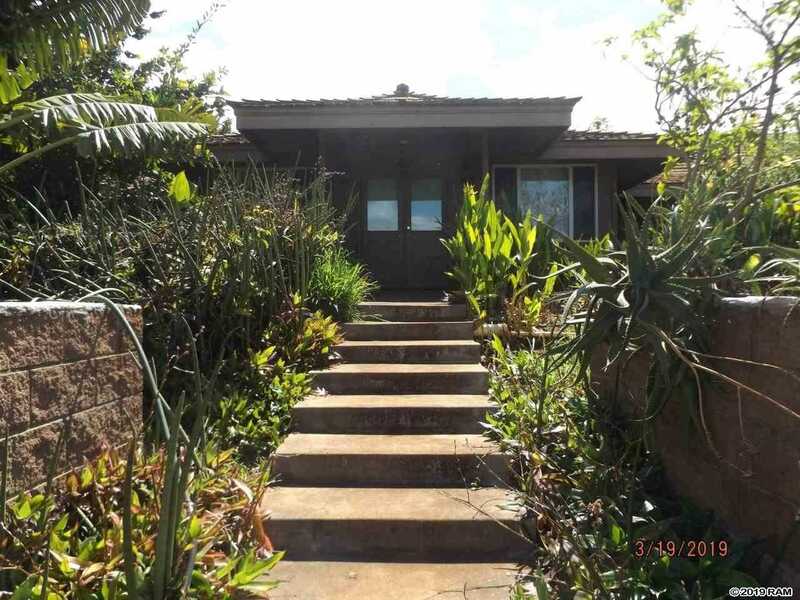 Please, send me more information on this property: MLS# 382196 – $2,400,000 – 21 Ikena Kai Pl, Kula, HI 96790.